Perfect stocking stuffer! This 5-piece Festive Mani/Pedi Set includes everything needed for a professional-quality manicure. 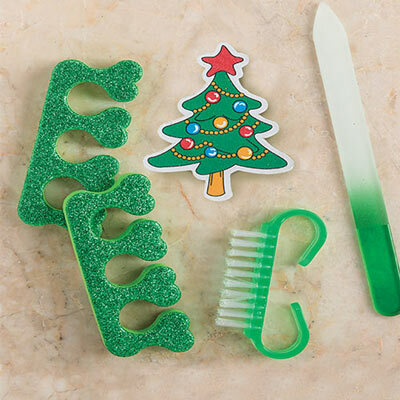 Set includes two glittery foam toe separators, glass file scroll-handle nail brush and tree-shaped nail file, plus a convenient carrying pouch.